GreatCollections is proud to auction a collection of U.S. gold coins called the Anacapa Collection. "These coins will be offered as part of our Sunday, August 21 auction program, which will feature over 1,000 certified coins ranging in value from $20 to over $20,000,"said Ian Russell, president of GreatCollections. The collection was amassed over the past ten years and includes coins such as the 1876-CC Liberty Double Eagle graded PCGS MS-61 CAC and the 1905 Liberty Quarter Eagle graded NGC Proof-65 CAMEO CAC. In all, the Anacapa collection comprises 25 gold coins over a 111-year period from 1802 to 1913. Two coins were issued during the Civil War, with one highlight being the 1863 Liberty Double Eagle graded NGC AU-58. The Anacapa Collection was named after the island off the coast of Ventura, California, which is part of the larger Channel Islands chain where the owner has spent a considerable amount of time. "It’s nice to see a collection of coins like this. 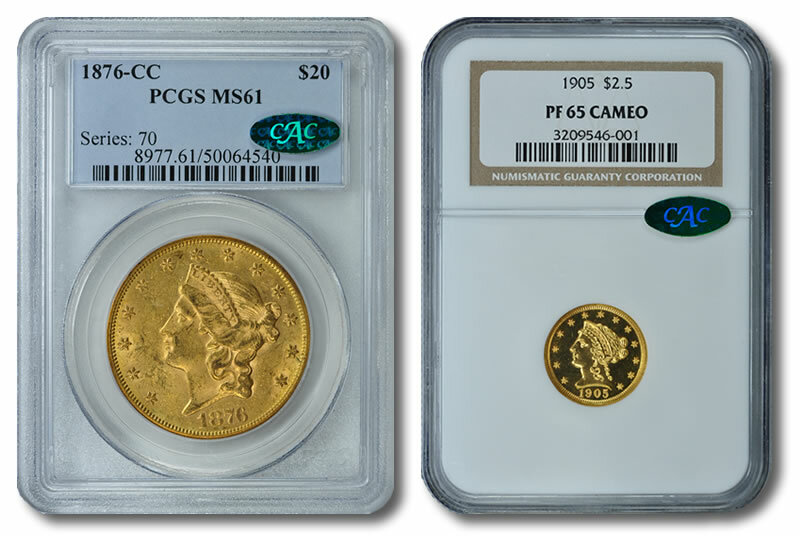 Although there is a High Relief graded NGC MS-64, there are also much rarer coins like the 1876-CC Double Eagle graded PCGS MS-61 CAC and the 1905 Quarter Eagle NGC Proof-65 CAMEO CAC," said Russell. GreatCollections will be displaying the coins at the ANA World’s Fair of Money (Chicago, Illinois August 16-19, 2011). Clients can also view the coins by appointment at GreatCollections’s Irvine, California office. Bidding is open now through August 21, 2011. To register or view more information about this or other certified coins, please visit www.greatcollections.com or telephone 1.800.44.COINS. GreatCollections is an auction and direct sale venue for PCGS, NGC and ANACS certified coins, as well as coins approved by CAC. GreatCollections handles each coin transaction from start to finish. For sellers, GreatCollections offers professional imaging for each coin, cash advances as appropriate, and other individualized services generally not available with the large auction houses and other websites, freeing the seller to do nothing except collect the proceeds of the sale. Buyers benefit by entrusting a venue whose principals have years of coin experience and whose reputations in the industry are impeccable.